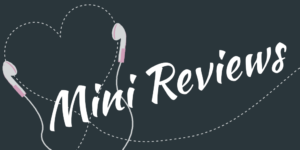 Lately I have listened much faster than I could write blog posts, so I decided to make a few mini reviews of books I didn’t enjoy that much. What is it about? A woman, who stayed away from home for several years because she was so heartbroken, has to return and face the man she has always loved. What went wrong for me? I didn’t like the male protagonist. He was a pretty big dickhead at several points and I didn’t feel that he made up for it. The female protagonist simply loved him no matter what he did. But I’m vindictive and I could not forgive him for some of the things he pulled. Who would like it? Someone in my Facebook group said it wasn’t really Romance but Chick Lit. I think she’s right and readers who are more interested in the woman’s journey and are not looking to fall in love with the guy will like it. It is a good book and the narration by Heather Wilds was really fantastic. What is it about? Incidentally, this is also about a girl coming back home and facing her childhood love. What went wrong for me? I’m usually quite a fan of rom-com. But this was definitely too hilarious for me. I did not react well to having the narrators yell into my ear. I actually DNF’ed the audiobook because I couldn’t deal with it. The story was slapstick. And while I did work my way through the e-book, it never became what I had hoped it would be. I usually like Amy McFadden. I thought she did a wonderful narration of The Paper Magician**, but this one with the yelling… No. Just no. Who would like it? Everyone who loves rom-com and can listen to the Audible sample without cringing. Rachel Van Dyken is a great author and this book is very popular. But I think it’s one of those that you either love or hate. Nick Podehl did a nice narration. What is it about? This is again about a woman, who stayed away from home for several years because she was so heartbroken, and has to return and face the man she has always loved (okay, maybe I’m trying to make a point by copy and pasting this line, at least to myself). What went wrong for me? I went in expecting a very angsty, very dramatic read. Instead all the problems could be solved by talking them out. It’s pretty bitter when you waste 6 years of your life just because you don’t talk openly to the people you love. Who would like it? Everyone who likes a sad and emotional romance and prefers when the stakes aren’t higher. Sarah Puckett’s narration was wonderful. Very touching and emotional. I received Losing a Piece of Me for free in exchange for an honest review. 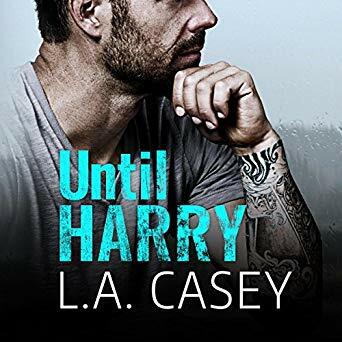 Until Harry and The Consequence of Loving Colton are “read and listen for free” in Kindle Unlimited**. And just to reiterate, these are all good books. They just aren’t the right kind of books for me because I’m a special breed of mood reader and these books all fit a mood I’m basically never in 😀 If you have listened to or read one of these, please leave a link to your review in the comments section! I’d love to check them out.